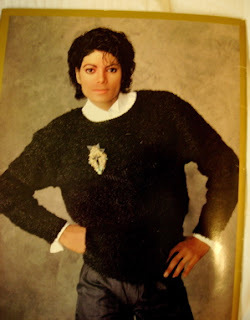 Like him or hate him now, you have to agree that, at least at one time, Michael Jackson truly created and delivered magic. 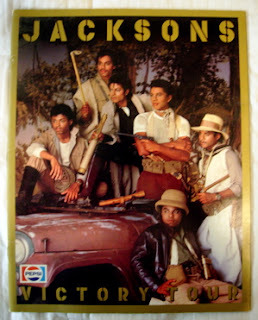 This Tour Program is from the Jacksons " Victory Tour" in the mid-1980's, was when Michael was nearing the height of his superstardom. This is the tour that was sponsored by Pepsi- the one where Michael and his brothers were filming a Pepsi commercial and his hair caught on fire from the fireworks. Still, Michael survived and went on to do the tour. It was a great show! An earthquake happened during the show on the night I went.